Franz Wimmer, BMW Modern Retail. In November 2015 BMW became the first car brand in the UK to launch a channel allowing the end-to-end purchase of a new car online. 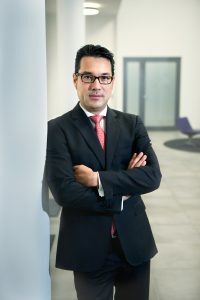 Franz Wimmer, the brand’s General Manager for Modern Retailing, describes the success the channel has achieved so far, some of the perhaps surprising ‘learnings’, and what BMW is doing next to win more digital sales. This is a very exciting time to be working in an exciting industry. As others have pointed out there are many threats and our competitors are no longer just the other car companies. We of course know that game, and each year we do battle with each other to win customers and volume, and we battle with them on technology. Competitive threats are not new. If we go back to the ‘sixties we saw the Japanese brands – like Toyota with its total production systems – spread quickly across global markets. They were followed by the Korean brands with their low cost, efficient and reliable cars. Now the Chinese brands, which have profited from joint ventures, are similarly well positioned. But we are now facing what we call ‘iconic change’, and our business model needs to change as new digital business players enter into our market. New players like Uber with their mobility services model or Google with autonomous driving – looking to profit, amongst other things, from content delivery to autonomous passengers. 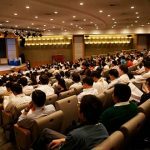 This is big business, and these new players are very different in their culture, different in their speed, and different in their technological capability. It is a big challenge, but we also see it as a huge opportunity. 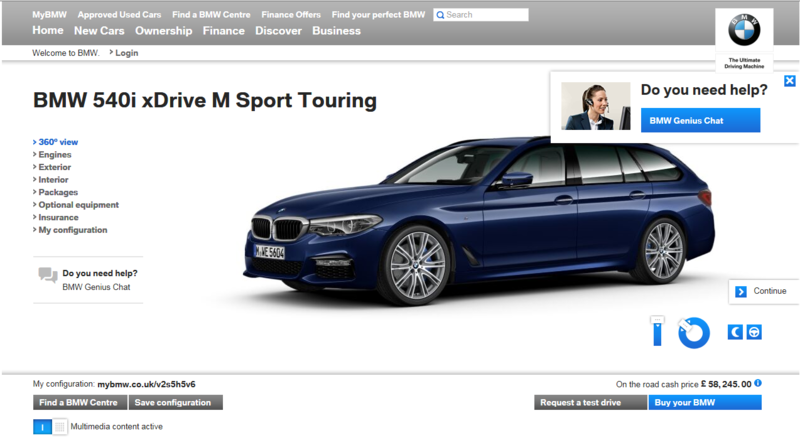 BMW is competing with these new business models in three areas. Car connectivity. BMW provides its customers with connectivity services via BMW Connected for more than 10 years. In terms of ‘sharing’ models, we have responded with ‘Reach now’ and ‘Drive now’. And in the area of car retailing, we are looking at how we compete for access to the customer and to win the heart of the customer online. For us as BMW Group it is crucial to continue our successful partnership with our retailers. Together we have to embrace digital technology so that we are serving customer needs and, alongside each other, we are delivering the best service that our customers deserve. It is worth starting with some background on our customers: they are comfortable with e-commerce and used to shopping 24/7. They are familiar with digital transactions and currently almost all customers ‘shop’ online for their car in advance of purchase. Research shows that up to 40% of buyers would now purchase online. So the customer is ready for Retail Online. The downside of the current situation is that retail visits are declining to 1.4 x visits during a purchase (although this is not new, but a ten-year long trend). But we can also see that our customers do want physical interaction with the retailer so it is not ‘either/or’ but an ‘and’. Other things we found out is that female customers do not like going alone to retail centres which are perceived as ‘macho’ environments. We also need to be ready for the millennial generation, those born after 1985, who will soon be entering the new car market. At the moment, the average age of our European customers is around 52. This means we must be prepared to provide both online and offline. It is not about jumping onto an online bandwagon and thinking we can go digital, or that we don’t need retail premises any more. And this is perhaps our biggest challenge, making two channels that work together, but without doubling the cost. Our customers want both the retail and online experience, they want transparency, they want to be in control and they want to know what they can get. 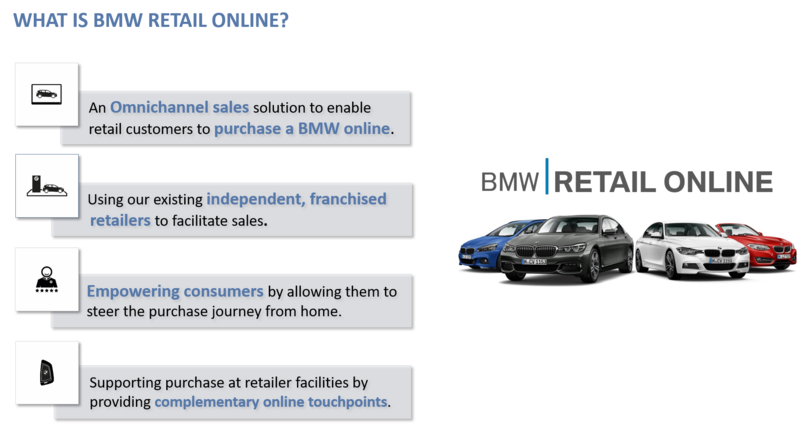 BMW Retail Online is part of an omnichannel journey, meaning that customers can jump in and out of the online journey. We want to empower the customer, not to force them or expose them to a sales executive pressuring the customer to buy. Instead, we let the customer decide when they are ready for purchase and transaction. There are several steps in the online journey. It starts with a ‘needs analyser’ that asks five simple questions and then we respond with a proposal. This is a ready configured car, not a base model, but one with the most frequently chosen options. About 50% of our customers coming onto the website and looking at and configuring cars, start here. My feeling is that the traditional car configurator – across all automotive businesses – is in many ways ‘showing off’ what a brand has, not necessarily helping the customer find the right solution or product for their needs. If the customer wants to go into more detail – what colour, which wheel rims, what other options they might like – then we offer our ‘genius chat’ interaction where we can help our customers find the right configuration for their car. Our chat hours are 08:00–22:00 seven days a week. When the customer has identified a car, we try and offer them a product that is immediately available. Some customers don’t want to wait 12 weeks for their car and our retailers might have a similar car on stock. When the customer has chosen a car, they are then further supported by the genius live chat service throughout the entire process. With their chosen retailer, they can exchange information in writing and upload documents. It becomes a ‘chatroom 1-to-1’ between the buyer and the retailers sales executive to carry through all the required interactions. They can arrange test drives and the valuation and trade-in of their current car. Financial services are important to us and our customers. We have finance penetration of 70–80%, so most of our customers don’t pay cash. We have therefore made an easy to use dashboard where the customer can set their parameters and get a response to their credit request in seconds. What have we learned from the project so far? Several things. Firstly, is the need to train and coach our retailers to change the path that many have followed for decades. They need to use digital effectively, to be responsive, and to refrain from always trying to drag all the customer into the showroom, to put them into a vehicle seat and take a test drive. The next big issue is enhancements to the system and processes. We have about six updates a year and this is a big change for a traditional business which can be slow moving like a tanker, which takes time to speed up or change direction, and we need to keep our retailers in step with these changes. I am very happy that other brands are jumping into selling online as we need to build trust and awareness of this channel amongst car buyers. The more people doing it and talking about it the better. We are also pleased to be achieving significant sales numbers through this channel. Last year, if we had been a retailer, we would have been number one for three months for sales volume and in the top three for another three months. 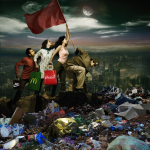 But we are not standing still, we do not feel we have yet achieved critical mass, and we are forward thinkers. Recently we launched the new BMW 5-series and on the back of this we started a campaign in which customers interacted directly with a physical car. We had Facebook live sessions moderated by Nicki Shields, who is an ambassador for our brand, alongside Dan our product genius. In four episodes, they covered four topics about the new car, presenting it live and answering questions. This was quite successful with about two million people reached, one million views of the films and over 20,000 interactions. The next step was to bring this down to more of a one-to-one interaction. So, we have a physical car, a product genius and a camera and chat facility. A consumer can go to our website, look to see if a slot with a product genius is available, then look around the car and ask any questions. They can literally sit on their sofa and shop for a car, hit the buy button and pay.